Third party logistics is expanding as outsourcing distribution has allowed businesses to focus on the manufacturing or retailing without having to spend time or money by creating their own distribution resources. The use of warehousing and logistics services is allowing businesses to use value adding tactics to further increase profits through systems such as relabelling and final assembly before couriers transport the goods to the customer. This has seen the increase in manufacturers and retailers joining up in partnership with international logistic providers such as Royale International. Many businesses have looked at delivering their own products, although this isn't always the best option to provide fast and efficient logistics to the customers. Customers can choose to speed up the delivery process by organising their own third party logistics to pick up goods at the factory gate. Alternatively the manufacturers are able to deliver the goods to the suppliers who then deliver the final product to the customer. Strive for eliminating waste as and when discovered to reach perfection. 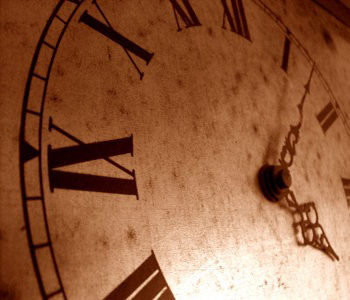 The just in time approach relates to logistics who enable a fast speed supply chain. Companies need to meet the demands of the customer in time so that all produce is created and shipped. This speed improves customer service, creates room for flexibility and focuses on the importance of the customer – the most important person in the cycle. Last week we touched on the external factors, this week we shall look at the supply chain and how manufacturing is changing the face of international logistics. Manufacturing is a key issue and there have been multiple changes to inbound logistics in recent years in the form of technology and organisation. As a result of these changes international logistics has had to come up with ways of reducing transportation times through air freight over ship freight. Airfreight is faster and is the ideal solution for time sensitive products that are required to meet the end of the supply chain as quickly as possible. Mastering the global infrastructures and providing 24/7 courier services to work around unforeseen problems. External factors are not the only issues faced by logistics. Return to our blog next week when we shall be looking at manufacturing and supply. 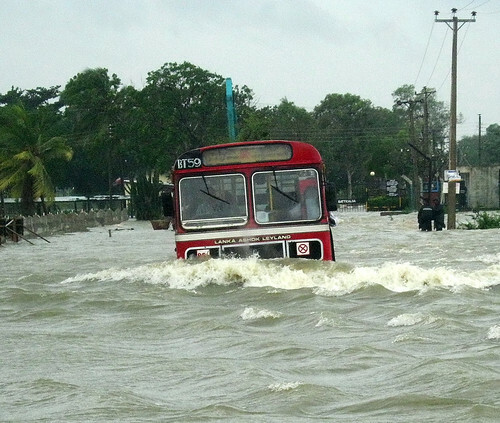 Natural disasters are external factors that can lead to disruption and change within logistics. 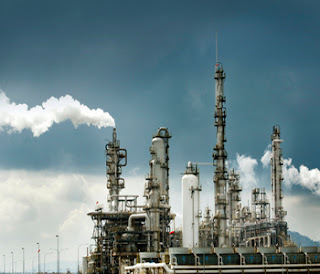 In the last few years there have been natural disasters along with terrorism attracts, industrial disputes, terrorism attacks and corporate facilities. All of these factors have led to disruptions in the supply chains and showed certain vulnerabilities within the logistic operations. While most of the issues haven’t directly been targeted towards logistics they often do have some form of effect. One example is the rise in fuel costs. In the UK the price increase led to fuel depots being blocked, stopping diesel being delivered and causing a shortage of goods and foods from being delivered to their destination. Other disasters that have affected logistics include typhoons, ash clouds caused by volcano eruptions, tidal waves and earthquakes. In these difficult times it can be more important to get products and goods from one part of the world to another and logistics have the job of getting the tasks completed in the face of adversity. In a bid to counteract these types of external disruptions logistics providers need to have clear contingency plans in place. 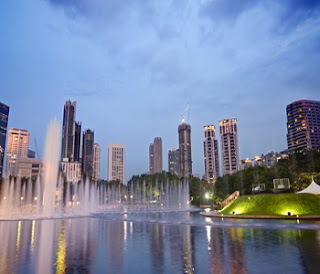 Having experience in worldwide distribution and detailed information regarding the infrastructures of even the newest cities and trading countries is one way to ensure the couriers are able to react quickly in the face of disaster. Information technology has certainly advance in recent years, and this has had a dramatic effect on the logistics industry. The impact technology has had on logistics concerns the use of management, labour and finding solutions to make it work for integrated supply chain networks. Some managers may lack the necessary experience or knowledge to use technology for logistics so many logistics management solutions are now provided by the couriers for those who are unable to find suitable managers within the workforce. 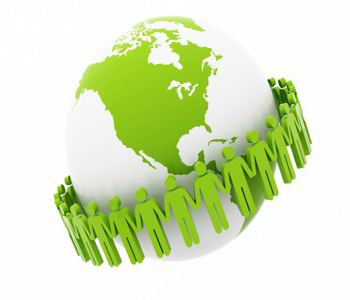 By outsourcing international logistics it’s possible to simplify the complete process. Royale International provide easy to use management systems that mean managers are able to keep a close eye on their stock levels, customer orders, reverse order and, the progress of distributions. In turn it is easier to keep up with supply and demand, establish slow movers and ensure customers are provided with an excellent service from the moment the order is placed. Tomorrow we shall be looking at the impact natural disasters have had on logistics and the supply chain. This week we are focusing on some of the issues that are faced in the world of logistics. Yesterday we touched on one of the external factors that have helped globalise logistics in recent years, the effect of worldwide governments and the creation of unions such as the EU. Today we are looking at environmental concerns, a factor that has had a big impact in the past few years. Green issues have become more and more relevant due to a rise in public awareness concerning their own impact on the environment. People are shopping smarter and expecting the businesses they use to take environmental issues seriously within their day to day activities, including distribution. Road congestion is a serious issue and this has been a problem that has needed to be overcome by the logistics industry. Countries are trying to combat the problem by introducing road tolls, bans on trucks and restriction access. All of these do impact on logistics but companies are working around these issues by offering 24/7 courier services, point to point deliveries and by eliminating the use of hubs. Royale International have introduced point to point deliveries, reusable and recyclable packaging, around the clock service and in-house energy saving operations such as the Switch Off policy we have helped to show our customers that the environment is important to us. This week we shall be looking at the challenges and key issues facing logistics in 2013. The focus of customer satisfaction and meeting demands of the consumer have resulted in the supply chain becoming more time focused in recent years and now it is possible to place orders of shipments to be shipped anywhere in the world within one to two days. It’s something that was unheard of in the past but is now widely expected by consumers buying goods. Companies need to focus their attention on their own supply chain to see if they are managing it effectively and competitively. In order to review the current and future use of logistics managers need to look at several factors such as the external environment, manufacture and supply, retail, distribution and the effect on the consumer. These changes has helped to globalise logistics and reduce the need for distribution centres, storage costs and improved customer services on a global scale. There are further external factors changing the face of logistics, come back tomorrow to learn more. 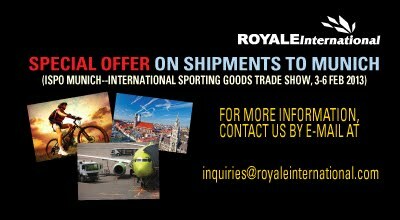 ﻿From now until 25 January 2013, Royale International Couriers Ltd offers SPECIAL RATES to the ISPO Munich - International Goods Trade Show 2013 exhibitors. For more information, contact us now to find out how our team of delicated professionals can bring help creative, innovative and cost effective logistics solutions to you. It’s never been easier to begin trading online. You can now open a store and being selling to an international market within a few hours. This is thanks to websites that are hugely popular the world over and helping individuals all over the globe to enter the world of retail. eBay and Etsy have become the two of the most popular retail platform online. Both of these websites make it easy to create your virtual shop, list items and sell them to the public. With millions of users already using these websites many start-up businesses are choosing to open these online stores in order to start making extra income for the home or a full time living. While setting up an online store may not take long it does take longer to get up and running behind the scenes. You will need to decide what to sell, source materials and goods to sell on for a profit, make the listings, choose your price points and organise how you will deliver your goods. International logistics providers are helping many home based retailers satisfy their demanding customers. With competition high for goods on eBay and Etsy sellers are gaining the edge by selling internationally, providing next day or 48 hour deliveries and ensuring customers receive an excellent service. With money that is saved thanks to online retailing using popular selling websites rather than your own ecommerce website you can invest in improving customer services. By partnering with couriers it’s possible to reduce your postage and packaging costs, find suitable and affordable warehouse options, and provide excellent services to every customer. 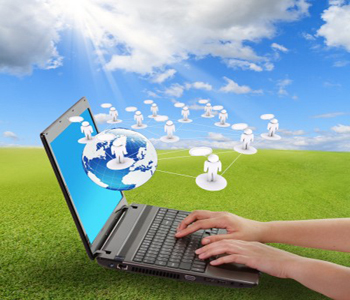 Cloud computing is a phrase that is popping up more frequently in business. It’s the use of software and hardware resources that are made available online. The data collected and shared using cloud computing is stored on remote servers, allowing instant access to authorised personnel from any device connected to the Internet. Cloud storage and international logistics fit together as they allow users of the logistics service the ability to receive all the information concerning their stock levels and supply chain movements at any time. The use of cloud computing is one of the ways third partly logistics is able to increase the visibility of the supply chain. It provides a simple way of delivery real time data for those using the online trace and tracking or the online inventory management systems. This form of data storage is also beneficial for other areas such as purchasing, warehousing and order processing. As your products are transported each section of the journey can be recorded using the latest technology such as mobile devices, tablets and readers. 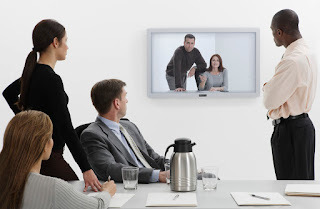 In the past companies relied on several parties sharing their actions one at a time which could cause problems if one person along the chain didn't record the action or if any parties were unable to share the information within a suitable timeframe. With logistics and cloud storage all of the parties in the supply chain can send the information to one place. This can then be accessed by the authorised personnel to see real time data and benefit from the advantages this brings. Each user of the cloud will be limited to viewing only the data that relates to them, providing secure and simple information. Technology, the use of cloud computing and the commitment of 3PL’s provides businesses with a way of improving the visibility of a supply chain. Companies are therefore able to manage the status of an order far more effectively thanks to knowing where deliveries are at any time. Customers asking where deliveries are will no longer have to feel frustrated while waiting for you to come up with the answer. How to Increase Supply Chain Visibility? The use of technology allows 3PL’s to provide simple online inventory management systems. You are able to access real time data at any time of the night and day that provides you with information such as departure times, stock levels and order statuses. Data recording throughout the supply chain will increase visibility. When using 3PL’s you gain from the electronic recorders, sensors, mobile devices, readers, tablets and radio frequency information that is used throughout the distribution process. This extensive amount of data collection allows you to receive the data you need online as and when it happens. Good visibility will provide you with the ability to work more efficiently across the board. Unplanned events are reduced and problems can be identified earlier on in the supply chain giving you time to adjust and find solutions quickly to reduce negative feedback. You also improve the overall operational effectiveness, productivity and can lower your spending on freight. This will allow you to pass on savings to the customer thanks to your improve cost efficiency. Time saving solutions that help with unexpected problems or enquiries are extremely valuable when it comes to busy days in the office. We all have days where there simply aren’t enough hours in the day. At times like these it’s clear to see the benefits of partnering with outsourced experts who are able to provide you with simple solutions to achieve the best results possible. Logistics need not be an area that causes stress. Using third party international logistics providers with the latest technological resources and clear data transparency is one way to reduce the time spent on monitoring, reviewing and managing the supply chain. Urgent answers can be found in an few moments thanks to services such as real time track and tracing as well as inventory management systems. Data that is stored online allows you to login using any device connected to the Internet. As all the information is stored on remote servers, you can call up any information you need from your mobile phone using SMS, your PC using online tracking and management tools or even have the details sent to you via email. The ability to be able to trace items let you to deal with customer related incidents quickly and efficiently. Knowing where your shipment is at any given time will enable you to give real time information to improve customer relations and retain more customers due to your excellent service. Third party logistics are able to help reduce the demands placed on your shoulders. Use the trace and tracking options to reduce your workload while increasing customer satisfaction and improving the cost efficiency of your business. Finding the right suppliers is essential for almost every business as they are such a vital part of your business, it’s important to evaluate your suppliers in order to find the best ones to work with. You may need supplies of raw materials or finished products for you to sell on for a profit. 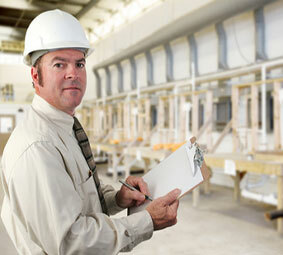 There are some areas that need close inspection when choosing your supplier. The first one you will be most concerned with is price. Obviously you need to find one that offers excellent value with plenty of potential from making a profit. However, price isn’t the be all and end all. The reliability of your suppliers is something that needs to be closely reviewed. You need to know the goods will arrive on time, as promised, and that they arrive in good order. Delays can result in serious problems for you and your customers. Also, think about the location of your supplier and how long it will take for your orders to arrive. You may have couriers supporting your deliveries but if your suppliers are consistently late your customers could experience lengthy delays and disappointment when shopping with you. There are some warning signs to keep in mind. First of all, if the company is brand new they may experience the inevitable teething problems that come with most businesses. Choosing a more established party could avoid small yet inconvenient problems. It’s worth asking how goods are delivered to their customers. Smaller suppliers may not have access to the types of logistics services larger companies have and therefore may not be able to provide tracking options or guarantee on time deliveries. The main areas to look at include cost, efficiency, and reliability. If you choose well, your suppliers will not create logistic nightmares instead they will become the backbone of your business, complimenting you and your services. One of the latest trends in business is moving away from conventional supply chains. Suppliers, retailers and wholesalers are now choosing to work together as partners in a value network rather than seeing one another as customers. If this is an area you are interested in moving towards you will need to know all the players and the role they play within the value network. 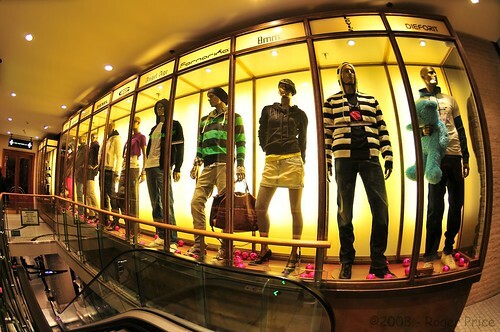 Retailing is how goods and services reach the target customers, be they individuals or businesses. The retailers could be distributors, manufacturers and wholesalers. In order to sell the goods to the end customers they may use online stores or a physical store. Retail stores equal 90% of how products reach the customer although non-store retailing is still in use – such as direct marketing, direct selling and vending. All retailers must have a marketing strategy in place. The retailer has to know their target audience and offer services such as pre and post purchase and customer support to provide a high level of service. Wholesaling is when goods are obtained to be resold. Wholesalers are able to increase the reach of the products and involve the storage of various products. They play an important role in marketing channels and can help retailers and manufacturers understand the competition and their customers. Productivity is increased thanks to the supply chain management and this can also reduce costs. Marking logistics is responsible for delivering foods from point to point in a cost effective manner. The use of logistics enables companies to provide high customer satisfaction and effectively manage inventory, order processing, warehousing and transportation. The aim of logistics is to shorten the supply chain and increase profit for the company. They are able to do this by ensuring goods are delivered quickly to reduce waiting times for the customer. Logistics isn’t only about delivering to the final customer. It’s also used to manage the inventory of the company and reduce the piling up of goods sitting in warehouses costing businesses money. By working together as partner’s retailers, wholesalers and logistics are able to deliver value while benefiting one another. The global recession is making even the toughest and most knowledgeable business minds struggle to keep up. It’s a difficult time for everyone, the game is changing and those in the know recognise that new thinking and disciplined forecasting is required to survive these traumatic economic times. Outsource where you can – freight forwarding, your accounts and administration can all be outsourced. Choose outsourcers who use data and rules as part of their business base for the most reliable and honest partnerships. Network within multi-enterprise networks. 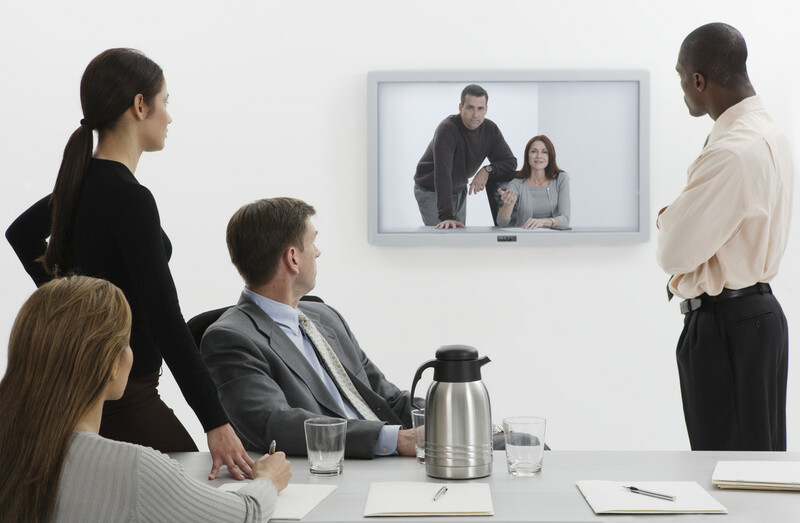 Collaborate together to drive down costs, increase innovation and everyone can benefit. Use data intelligence such as shipping data, real time history, your archive data and use the information to boost your revenues. Will the logistic couriers match and compliment your own expectations when it comes to operations? Do they understand your business and what it needs to be successful? Will they improve your performance and help your business become more efficiently managed? Will turning over your day to day management to a third party logistics provider give you greater control and reduce spending? Industry managers must recognised that by removing distractions and making use of freight specialists it is possible to invest in order to increase profits. Well-managed logistics will help businesses to save hidden costs, save time and reduce overheads. With less job security and redundancies, working from home has become increasingly popular over the past year, people have decided to make their own work and give self-employment a try. One of the popular ways of making a living is by buying and selling goods online using popular auction sites and personal ecommerce websites. However, home workers soon discover a couple of problems that can be easily avoided. One of the problems comes with stock. The more you sell the more you need to buy, and the more you buy the higher your profit margin will be. This means you need a lot of space, something that is often lacking for home workers. The home can quickly become filled with boxes of goods, causing multiple problems for everyone in the house. The problem with storage space is easily combatted using the warehouse service. This provides you with space in a warehouse and warehouse employees already trained and able to work on your lines for you. The warehouse option aLabelslso provides you with the option of using the effective distribution service eliminating the time you need to spend picking and packing goods. 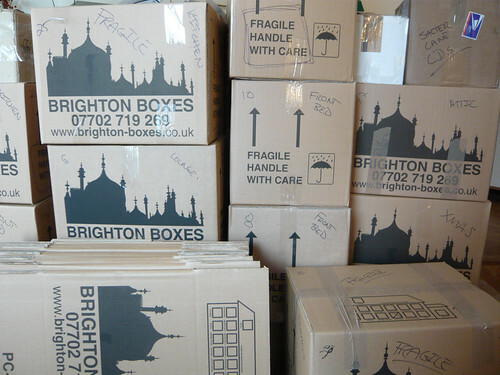 The second problem is the amount of time needed for sorting out orders, packing and posting goods to your customers. You can find yourself without enough hours in the day and with high expenses for packaging and distribution. Time management problems concerning distribution can be combatted by using couriers rather than sticking to the usual postal service. You are able to ask couriers to come to your property to pick up goods in large or small quantities as and when you need. International logistics is helping business owners all over the world with cost effective solutions that save time and space. As a member of the Operations Department, I’m trying my best to improve myself in all areas of our business, such as Time Critical, Regular Courier and Warehousing etc. Meeting clients’ deadlines and requirements and working with the whole team to complete the mission really makes me feel a sense of achievement. Even when sometimes I need to follow up on ongoing cases out of working hours, I’m willing to do so. I like to work with my colleagues, we helped a client collecting her order from Balenciaga in Paris and sending via courier to TPE. The pace of arrangement and pricing satisfied her. She is even eager to know if we can expand the service range helping them pick up their order from difference stores around Europe and sending together to Taiwan. It seems through this teamwork we’re going to open up some new business for Royale Taiwan. Royale Taiwan promises to provide a variety of services that never cease to amaze! Reading, exploring my local surroundings, and cooking. Trapped in a crowd, the feeling of not being able to move forward or get out. I usually come across this kind of terrible experience when attending a New Year’s party or waiting in a line. I like working with my many overseas colleagues to better explore a multicultural environment. Our office offers a very relaxed working atmosphere, well-authorized empowerment and responsibility from my boss in allowing me to work and fully exploit our talents. Every day is refreshing and challenging when working at Royale as we may not only encounter urgent and multiple needs from our clients but also simultaneously have an opportunity to engage in another service scope. How cool it is that. Your Contact details – email and telephone number. Bringing in new and returning customers is the purpose of any business and if you aren’t making the sales you can be sure that something is going wrong. In this competitive world you will need to get to the heart of your problems and fast if you want to keep up. We have 10 tips for you that will help to improve your sales and keep bringing in the all-important customers. Take a look and see if you are missing a simple trick. Knowing your strengths is vital when it comes to running a business. It is unlikely you will be able to fulfil all of the roles that come with running a business on your own. Marketing, accounting, administration, sales, distribution all needs to be carefully managed and if any of these roles fall outside your expertise it’s worth outsourcing or hiring employees to help. Planning ahead is essential. Have a clear set of targets and create a business plan that will help you to stay focused and on track. The business plan should include your target markets, customer services, product selection, marketing and promotion and pricing tactics. Learn everything you can about your industry and your own business. Lack of industry knowledge is one contributing factor why businesses fail along with: poor vision, inability to establish goals, not enough capital, a lacking marketing plan. You must also know your target customers and understand what it is they want from your business. You need to know where your money is coming from and where it is going. Keeping financial records is a must to help you plan for the future. Being a business owner requires management skills. You will be responsible for all the decision making, managing time, finding resources, merchandising and providing customer services and run the business. Learn how to be a great manager and treat those who work for you with respect to get the most out of them. Branding helps customers to understand who you are and cause an instant reaction between you and your target market. Think carefully about the logo and images used to express your business in online and offline marketing strategies and campaigns. Managing inventory allows you to keep a good balance between supply and demand. Buying stock that is slow moving isn’t useful so manage your inventory carefully to avoid your money becoming caught up on the shelves of your storage facility. You can reduce the cost of your stock by joining buying groups and you need to have clear ideas on the pricing you need to reach in order to make a decent profit. 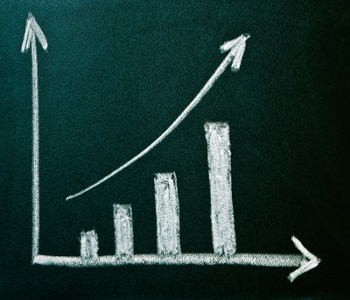 Remember pricing can be temporary; base your changes in pricing on the supply and demand of your goods. Watching how the pros have managed to succeed is beneficial to any business. Keep an eye on the top players in your industry and be prepared to change to keep up. Pride comes before a fall. Asking for help isn’t a sign of weakness, it allows you to grow and expand with the help of others. Hiring expert help, expanding the workforce and reaching out to mentors is all part of business and can help you to increase profits dramatically. One of the ways to avoid problems with overstocked warehouses and time consuming stock management is to use a warehouse and distribution service. International logistics is able to provide you with space where stock can be delivered and dispatched from in simple steps. The warehouse service can also include an online inventory management system that provides effective solutions to help your products move effortlessly, recording each motion as and when it occurs. The benefit of an online inventory system is simple. The hard work of counting stock and recording actions is done for you. You are able to check in to the online management system and see real time reports regarding the status of your stock. The warehouse employees keep the information constantly updated so you can simply login and view your current levels. We are able to provide warehouse and inventory solutions designed to make your life easier. Find out more by emailing us at inquiries@royaleinternational.com. 1) Home Delivery – Distribution of goods directly from local warehouse to customer. 2) Mail-order – Use of postal service to distribute the goods from the national warehouse to the customer. 4) Direct distribution for the producing company to final customers.